Today we are talking about exercise and the benefits to our mental health. It is amazing how many people think they need to be doing a hard and stressful workout in order to see the benefits… it couldn’t be further from the truth. Research shows that by simply moving MORE throughout the day, getting your 10,000 steps, this elevates your serotonin and dopamine levels and there fore improves your mood and mental wellbeing. You don’t need to beat yourself up with a hard workout… how about trying a 10 minute HIIT or a brisk walk? Exercise can work wonders… and combined with good food can significantly improve your mental health. •Take a little walk at this afternoon if you can to get the blood flowing and positivity levels up. •If you find you sit alot- Try and get up and take a walk every hour. •Eat good healthy meals full of nutrients. •Fit in a 10 minute HIIT workout every day. 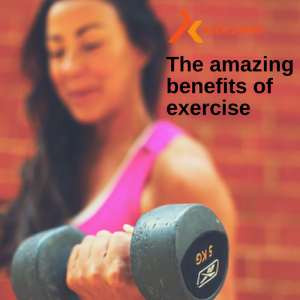 Exercise is beneficial to your mental health as well as physical and it is amazing how you can change your outlook and how you feel with just a few changes to your lifestyle. Do you suffer from anxiety/stress/ tiredness? Exercise gives you strength, energy and determination and could really help.Everyone is different and what works for you may not work for someone else so try different approaches and see what you enjoy- classes/ running / low impact/ spin/ yoga if you find something you enjoy you are more likely to keep it up long term. Exercise is 100% about empowering yourself. Harnessing the power of your body and hitting the goals you want- whether it be physical or mental. If you want to train for aesthetics – go for it! If you want to train for strength – do it! If you want to train for mental health reasons – START NOW! The evidence linking diet and mental health is growing FAST. 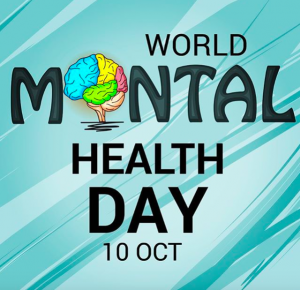 Evidence shows that it can contribute towards the development and management of depression, schizophrenia, attention deficit hyperactivity disorder, and Alzheimer’s disease. Eating the right foods balances your hormones and therefore balances your mood, mind set and sense of wellbeing. Cooking from scratch with organic, good quality food and plenty of veg can do absolute wonders… it sounds simple… but IT WORKS! We hope this has helped you today!